Harvested wheat and oat plants produce straw. The straw itself does not cause allergies. 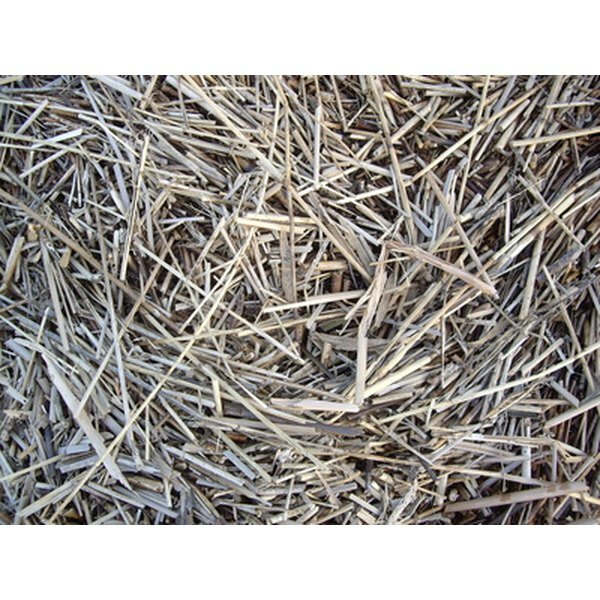 The problem arises from the straw dust and stray weeds within the straw. People who are sensitive to extrinsic allergens, which means causes that originate from outside of the body, should avoid areas with has straw dust concentration. Straw dust is an extrinsic allergen that enters the body through breathing and enters the lungs. The body's natural defense system is triggered because it cannot fight off the foreign body of straw dust. A chemical reaction occurs in the lungs that causes and inflammation. This inflammation in the lungs is called sensitization. What Causes Straw Dust Allergies? A straw dust allergy is caused by a very intense or prolonged exposure. The dust collects in the lungs until the body can no longer fight off the intrusion. These dust particles are 5 microns or smaller and are absorbed by the alveoli within the lungs. The alveoli react due to a toxin contained within the straw dust. Individuals with a straw dust allergy will have one of three responses. An acute or intense response with a fever, muscular aches, malaise, dry cough, tightness of chest, and shortness of breath within four to 12 hours of exposure. A sub-acute or recurrent response will cause the individual to have a cough, shortness of breath, sore throat, nausea, sweating and headache. A chronic or long-term response will cause an individual to have shortness of breath, weight loss, occasional fever, lack of energy. This individual may develop permanent lung damage and possibly death. Reducing the straw dust allergens in a home or business can be done through the use of general ventilation, local exhaust ventilation, process isolation and process enclosure. On farms it is important to control dust cloud formation by using an enclosed conveyor system or leakproof ducting. Adequate ventilation with fresh air, proper temperature and proper relative humidity should be maintained within buildings where animals are housed. Individuals with acute or chronic straw dust allergy reaction can wear some type of personal respiratory protection. Paper dust masks are available for purchase along with commercial grade respirators. Before purchasing a commercial grade respirator check to make sure that it is one that will filter straw dust. All respirators are not made the same.